No posts for some time as I have been mulling over the validity of taking on considerably more financial risk than I first thought, to bring the Iona project to fruition. The semi-final costings have come in and we’re talking 50% more expenditure to do this than even I, a hardened architect, thought. But, perhaps only an architect would be nutty enough to propose building on a soft site right next to a river, in a way that could be easily transported to some other site later, using a boat that was never designed to be on her side, and who will be forever trying to flip herself back onto her back, and needs to be tethered in place even throughout the worst earthquake the engineers could forecast, so our building remains a building! But as a designer sick of drawing up people’s extensions and bathrooms, the challenge was to create something unique, something magical, something that MATTERED. But of course during all this one wonders “Does it matter enough?” Does this beauty and magic and meaning, matter to others as it matters to me? Because if it doesn’t then we’re (excuse the pun) sunk. Then the voice on my other shoulder says, haven’t you noticed how everyone’s eyes twinkle with understanding and a kind of childlike joy when you explain the project? Although the tradesmen who’ll help build this boat are doing it as part of their livelihood, this twinkle isn’t about money in the bank. It’s about meaning, and a challenge. They needed it too, I can see that. But do the internationally travelling public? Does Whanganui? That Whanganui needs the Iona is undisputable. Currently we have very little accommodation at this level, and this will comprise only one ‘room’ in an accommodation sense, so she only needs one person to feel this way, every night. But do those who can afford it, want to pay for magic? For the unique? We’re a town hunkered down to making do with the money we have, which publicly and privately is never enough. The Iona’s presence, in all her beauty and unaffordability, would remind us that there are people out there who do these things – they may not be local, but they do exist and hey, they might come here and if they did, what would we feed them? Wouldn’t they want to go up the river? How’d we take them? That’s the value of these projects – they can begin to give shelter to a whole new crop of lustrous plants, allowing them to grow and create opportunities, experiences, that weren’t there before. My definition of success would be if the Iona was so sought after that I could be tasked with making another absolutely unique piece at the edge between art and architecture – and this time I’d be able to seek funding for all my so-far voluntary time because it wouldn’t be such a crazy proposition any more. But this time – boy it’s scary making that first move toward stress and debt and potential failure! 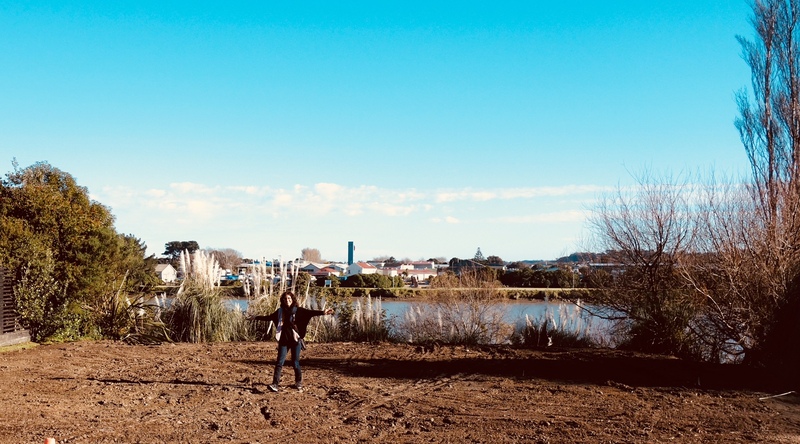 A recent weekend in Rotorua with our kids was edifying. This town is, apologies to the locals, almost unerringly ugly (with certain notable exceptions) in its built environment, and sure knows how to scalp a travelling family for attractions. An exception to the rule is the new night walk in the canopy of the famous Redwoods forest, strung with wonderful arabian-looking stencil lanterns, mysterious moving glow worms, and magic fairy lustre weaving in and out of the canopy and understorey. The experience was an absolute winner for us and a high score on the Magic front. 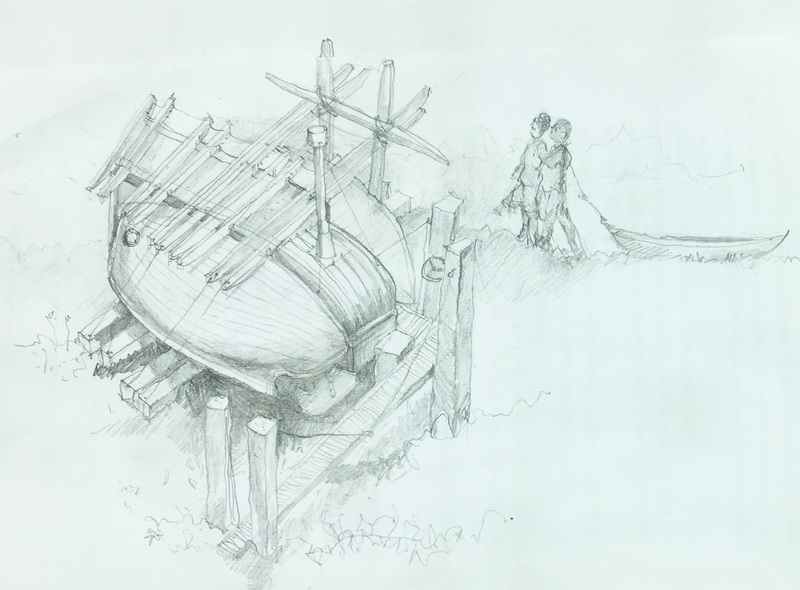 Although I’m still wondering about staging the project somehow, I can report that last week my husband and i said ‘YES’ to going ahead with the Iona project. I’m hoping that’ll be a YES for Magic too. The rain has stopped long enough to do a final weed-extermination mission (don’t want the african Kikuyu grass taking a hold again), then time to implement my planting plan – where it won’t get in the way of the builders. Still keen to get pricing more or less ‘ballpark’ before I go any further on this build. Over at the port, my old timber lady is sitting there wet as wet – don’t start rotting now baby!! 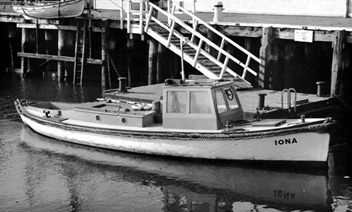 Here’s a picture of Iona in her prime – probably taken at Port Chalmers, Dunedin – she was built there in 1925. What a treasure I have. This is me on the banks of our mighty Awa on our cleared site. And here is a pencil perspective of what she’ll look like as part of the new tinyhouse. More about the boat itself in another post – for this one, just know she’ll be on her side, with what is now the deck facing out towards the river. There’ll be a new extension out there, mostly in the shape of the boat, and that’ll have a boat-shaped front face with beautiful timber joinery, all the better to take in the view. You’ll be able to sit in the huge open doorway, watching the river roll by, in absolute peace. Currently we’re waiting for the construction prices to come in – amazingly I had a call from a quantity surveyor who realised that he’d once worked on the boat, years ago in Otago while a member of the Merchant Navy! I’ve had several calls like this, which I’ll tell you about – I love that the Iona is already part of Aotearoa’s history, she already has many stories to tell – and the building will be a mix of old and new materials too, continuing that history but adding to it, making a new story. Taking possession of an old brass porthole can really make you feel a project has begun! It was two years ago that we bought an old Kauri boat hull, sight unseen, and had it transported for 7 hours to Whanganui. My architectural practice was busy but after years of realising the dreams of others, I wanted to do something just for me, something that had meaning. I wanted to be able to make something for the little me inside who still loves playhouses, something my children would enjoy, something old, something new, something magical. 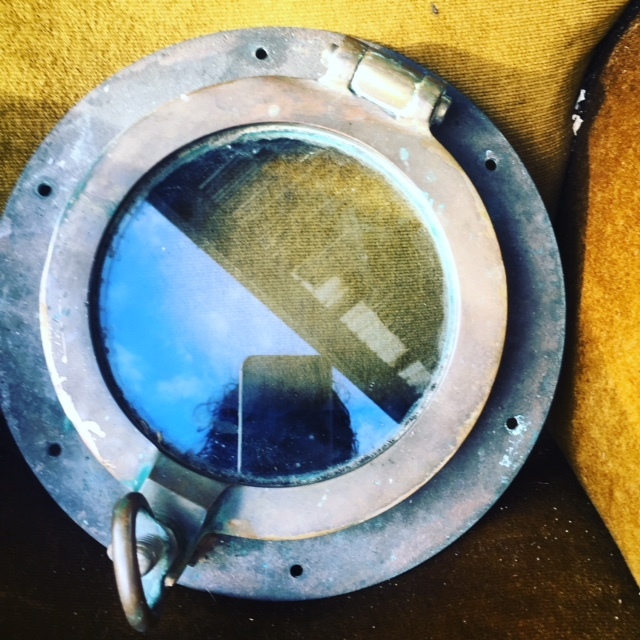 So Iona was born – and today we have a site right next to the magisterial Whanganui river, a consent to build, and – a 5kg serious-looking brass porthole! Bring on the Iona: Little House on the Big River!